Here is such a charming hand carved antique cameo ring whose mount is so attractive from all angles and is such a classic design. Dating from the 1860’s, this cameo ring was made in 18ct gold and the design surrounding the cameo is so full of charm as is the exquisite and fine hand engraving on the band. The mount surrounding the cameo measures 11.8mm across by 14.4mm and the hand carved cameo itself measures 8.5mm across by 10mm and sits so well on the finger. 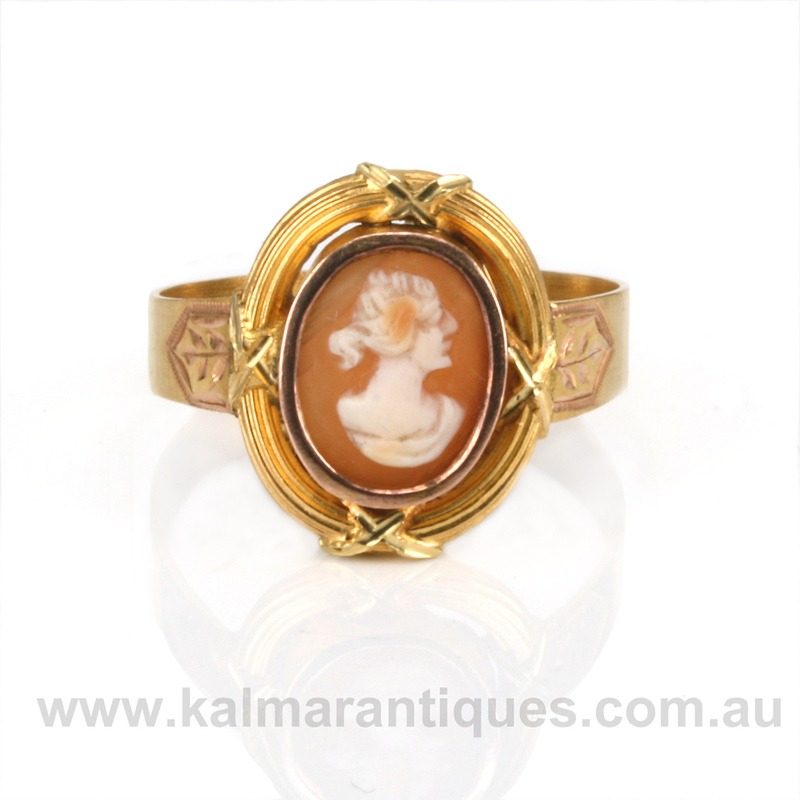 Hand carved from shell, this antique cameo ring has the most beautiful and elegant surround and is so attractive.